Chicago Sun-Times columnist Greene’s (The 50-Yard Dash, 1997) memoir is touched off by the death of his father in central Ohio, in the same town where Colonel Paul Tibbets (the “man who won the war”) also lived. Tibbets was the pilot of the bomber that dropped the first atomic bomb on Hiroshima in 1945. Greene’s father, an ordinary soldier in WWII, would point out Tibbets in town but would never speak to him, and it was clear to young Greene that his father held the former airman in a certain amount of awe—for the manner in which he carried out his mission without question, and almost without flaw (Tibbets reached his target only 17 seconds late, after a journey of thousands of miles in a crude B-29 bomber). After Greene’s father died, Greene sought out Tibbets and began a series of conversations on the war and its impact on his generation. 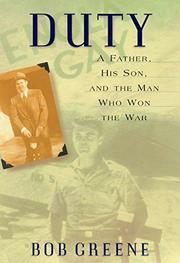 While Greene writes well, the degree of sentimentality he brings to his subject is almost embarrassing, and his device of moving between his father’s reminiscence of the war and his own accounts of meetings with Tibbets and others (such as a reunion of the famed “Doolittle’s Raiders,” who bombed the Japanese home islands in retaliation for the attack on Pearl Harbor) constantly distracts from the flow of the book. A dull and sentimental read.